Home Beauty Eat These Superfoods For A Glowing Skin! Who doesn’t want a glowing skin? A glowing, healthy, and flawless skin is your best accessory! Women so spend so much money on countless skin care products such as moisturizers, serums, gels, creams, and masks to get a glowing skin. They put on bronzers, highlighters, and illuminators to create the illusion of a glowing skin. Wouldn’t it be so great if we could have a glowing skin 24/7 without depending on makeup? You can easily achieve a glowing skin by some lifestyle modifications. We have compiled a list of superfoods for a glowing skin that will give you a natural glow. Wheatgrass is one of the best superfoods for a glowing skin. Wheatgrass is rich in antioxidants which protect our skin from free radicals. Antioxidants are great for skin as they heal skin and prevent further damage. You can drink wheatgrass juice to detoxify your body. This means it helps flush out toxins from your body. Wheatgrass is also great for skin conditions such as psoriasis and eczema. Apart from that, wheatgrass juice is also recommended for people with acne prone skin. It can even help you get rid of acne scars and marks. For a powerful kick, you can add other fruits such as pineapples to your wheatgrass juice. 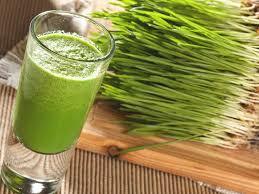 Wheatgrass is also rich in vitamins A, B, C, E, and K. It also has chlorophyll which purifies the blood. Acai berries are a rich source of antioxidants. You can add acai berry powder in your smoothies. It also has anti-aging properties and can help you with weight loss. Acai berry also promotes digestion. Acai berry is also rich in vitamin C. Vitamin C is great for tightening, brightening, and firming the skin. It is even said that acai berries probably have more antioxidants than all the other berries such as strawberries, blueberries, and blackberries. Apart from vitamin C, acai berries are also rich in vitamins A, B, and E. They will help repair your skin, heal it, and restore moisture. Acai berries are also great for healing damaged skin cells. Antioxidants present in acai berries are also good for acne. 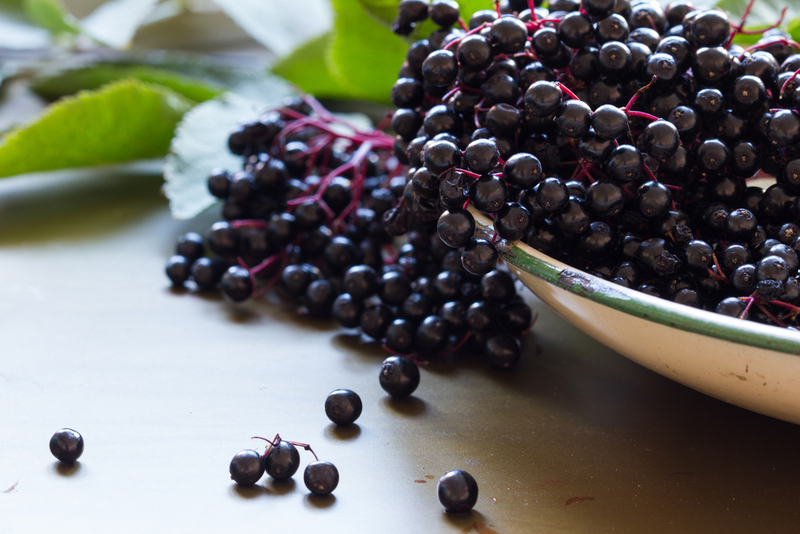 Acai berry also has Omega 3 fatty acids which nourish skin. Acai berries also protect you from free radicals. Acai berries are absolutely delicious, so incorporate this superfood in your diet to get a glowing skin! It is rich in 8 essential vitamins and also contains amino acids such as magnesium and calcium. It is also high in iron and vitamin B12. These can help you with weight loss and boost your energy. It also has antioxidants, which are great for your skin and health. Quinoa is also loaded with collagen. This will help rejuvenate your skin and keep wrinkles at bay. 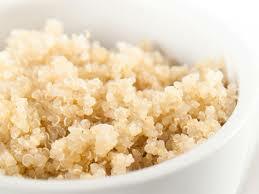 Regular consumption of quinoa will make your skin soft and smooth. Although we do not recommend a gluten-free diet, you might want to decrease your consumption of gluten for some time if you suffer from acne. This is because grains that gluten can sometimes worsen acne. Quinoa is gluten-free. In fact, this is the reason behind the popularity of quinoa. You can enjoy quinoa with your salads and main meals. Quinoa is also rich in protein. It is great for vegetarians who worry about protein deficiency. Beetroot has a lot of vitamins, minerals, and irons. It is one of the best superfoods for a glowing skin. Beetroots can flush out toxins from your body as it cleanses skin. It is a great blood purifier. You can either have raw beets in your salad, boil them, or juice them. Since beetroot is a blood purifier and body cleanser, it can help you get rid of acne too. Beetroot is highly anti-inflammatory too. Apart from consuming beetroot, you can also apply its juice on your skin for all sorts of skin problems such as scars, marks, hyperpigmentation, and dark circles. Beets are also high in folates. They increase the cell turnover of your skin. Beetroot also has anti-aging properties. It can help with wrinkles and fine lines. Beets also have vitamin A and carotenoids which are both great for skin. Apart from being good for skin, beets can also help you achieve your body goals as they are great for muscles. Sportsmen often drink beetroot juice before a special match to boost their stamina. Even beet greens are very beneficial, as they contain vitamin A, C, copper, iron, and calcium. Beetroot also increases the production of red blood cells. Beets are also great for digestion as they have fiber. Seeds are also amongst the ideal superfoods for a glowing skin. Pumpkin seeds have zinc and selenium which are great for oily skin. Consumption of pumpkin seeds will make your skin look clean and healthy. Pumpkin seeds are also full of antioxidants. They are packed with vitamin E which helps your skin heal itself. Pumpkin seeds can also protect your skin from environmental stressors. 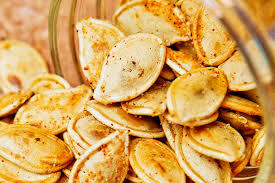 Pumpkin seeds also have iron and increase the production of red blood cells. Pumpkin seeds also have essentials fatty acids which can nourish your skin and restore moisture. The zinc in pumpkin seeds helps maintain collagen, protects cell membranes, and promote skin renewal. Next time when you are craving a snack, munch on these instead of having junk foods. Sunflower seeds are rich in folates. They are also good for the heart, have good fats, and have anti-inflammatory properties too. They increase fiber intake and promote healthy digestion. It is best to consume pumpkin seeds roasted and unsalted. Pumpkin seeds also have essential fatty acids which restore moisture to your skin and help it keeping smooth and supple. The essential fatty acids found in sunflower seeds boost the production of collagen and elastin. Sunflower seeds are also great for people with acne prone skin. Pumpkin seeds also contain vitamin E and beta-carotene. Chia seeds are not only good for your skin but your nails and skin too. It also has omega 3 fatty acids which help with dryness and reduce inflammation. Chia seeds also have antioxidants and minerals. 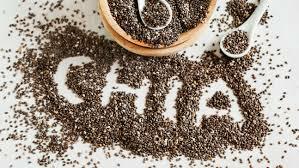 Chia seeds also have a cooling effect on the body. They are also a good source of fiber and improve digestion. To consume chia seeds, add them in a glass of water first and wait for 10 minutes. Chia seeds can also help with weight loss as they keep you fuller for longer. They are also good for an energy boost. Apart from that, chia seeds are good for blood pressure and cholesterol too. Try these superfoods for a glowing skin. If you are consistent, you will surely see a difference. Apart from that, stop eating junk foods and processed foods. Just like superfoods are good for your skin, processed and oily foods are bad for your skin. Drink a lot of water and keep yourself hydrated. Consumption of superfoods becomes even more important as you grow up. This is because superfoods are anti-aging and will prevent wrinkles and fine lines. Which superfoods for glowing skin do you like the most? Let us know in the comments below! Next articleNatural Remedies For Glossy, Bouncy Hair! Hey! Yeah, the humble chia seeds are actually really good, not just for your skin, but for your over all health. Hey Elridge! I am glad this article could be of service to you. Definitely use these on a daily basis to get the maximum benefits!